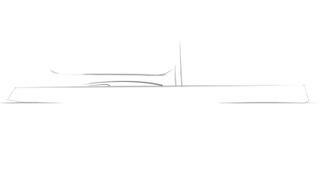 Dutch yard Royal Huisman has announced it is to build a new 59.7 metre sailing yacht codenamed Project 404. While few details and only a basic sketch of the high-performance sloop have been released so far, it is known that naval architecture and exterior design will be by Malcolm McKeon Yacht Design while interiors will be undertaken by Liaigre. The project has already been sold with Gregory Monks representing the owner. Project 404 will feature an Alustar aluminium hull and low-profile carbon composite superstructure with an integrated rig package from Southern Spars to be complemented by Rondal captive winches. Scheduled for a 2022 delivery, accommodation on board Project 404 will be for 12 guests and 10 crew. Other projects currently underway at Royal Huisman include its 81 metre flagship Project RH400, which is due for completion in 2020, and the highly secretive 55 metre motor yacht Project Phi.